For the first time in Tripura’s history BJP officially got its MLAs recognized in the Tripura Legislative Assembly for which the crucial election is scheduled early next year. Ironically, the recognition came after the last session of the Assembly before poll. Speaker of the Legislative Assembly Ramendra Chandra Debnath on Sunday had announced the recognition of the six MLAs who earlier from Congress joined Trinamool and then shifted loyalty to the BJP camp. Earlier on Saturday, Assembly Secretary Bamdeb Majumder issued a common letter to the six MLAs about the speaker’s recognition. Though on November 8, the six legislators had requested the Speaker to recognize them as BJP MLAs but the Speaker refused to recognise them on the ground of late submission of their application and also the Assembly secretary was out of the country. 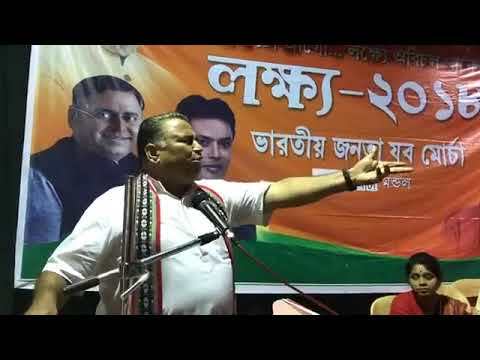 Led by Sudip Roy Barman, five other MLAs – Diba Chandra Hrangkhawl, Biswa Ashish Kumar Saha, Bandhu Sen, Pranjit Singh Roy and Dilip Sarkar along with thousands of former Trinamool Congress leaders and workers joined the BJP on August 7. Tripura earlier a princely state merged with India during 1949 and later got a legislative body of 32-member Territorial Council 60 years ago in 1957 and at present has a 60-member Assembly.